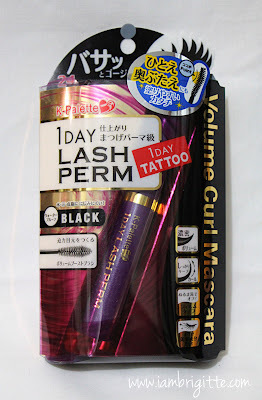 IAMBRIGITTE : Product Review: K-Palette 1Day Lash Perm Volume Curl Mascara.. Product Review: K-Palette 1Day Lash Perm Volume Curl Mascara.. Okay, don't panic. I'm not having convulsions, I'm just showing off my lashes! 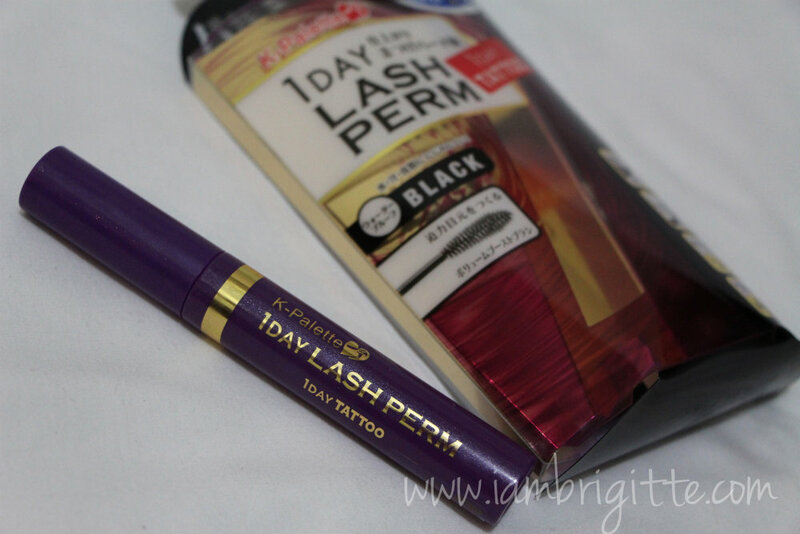 Like the first one, the 1Day Lash Perm Long Curl Mascara, this is also waterproof. It promises volume, long lasting curls and yet, easy to remove. Like the other new K-Palette products that came out recently, it also has beauty essences that will take care of your lashes while creating impressive curls with volume. The inner curve in the brush is for sweeping the lashes in an upward curl while adding volume instantly. See the shorter brush bristles at the side? Brush them against your lashes in an upward zigzag motion for more volume. Lastly, use the fine tip of the brush on your shorter lashes. It doesn't clump easily. Well, at least not for the first 2-3 layers. It weighs down the curl. 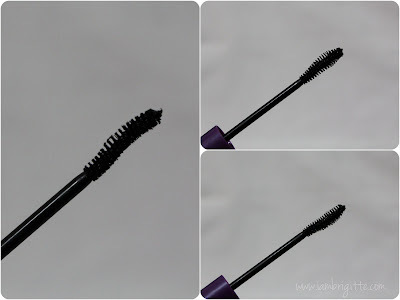 But just do what I do: Over-curl your lashes then apply coats of this mascara. The curl will "relax" and you'll end up with natural-looking curled lashes. Yes. When I get to finish the rest of my mascaras.